I first saw this Saint Laurent skirt about two months ago, and haven't been able to stop thinking about it. I am obsessing over everything fringe this spring, and love the subtlety of the fringe detail. I can see it styled now with a tailored blouse and knee high boots, and then in the spring with a boho top and booties, perfect for Coachella. 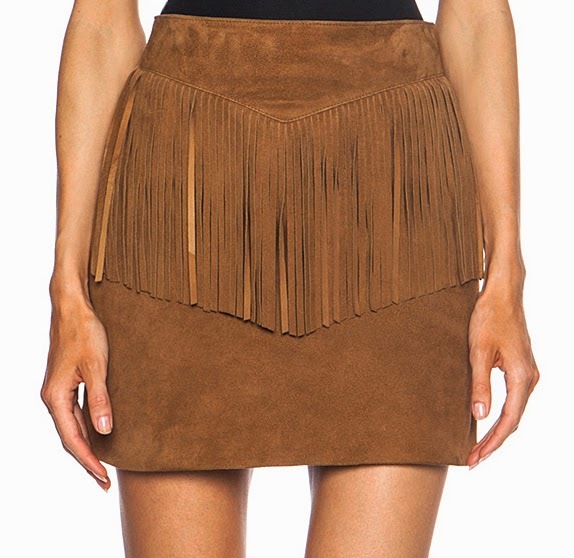 And, as we're seeing in the fall/winter 2015 collections, 70's and fringe will still have a big presence (yay, insert clapping emoji here), making this skirt perfect for seasons to come.